Free baby vest knitting pattern ideas from the Internet that I think are interesting enough to knit. 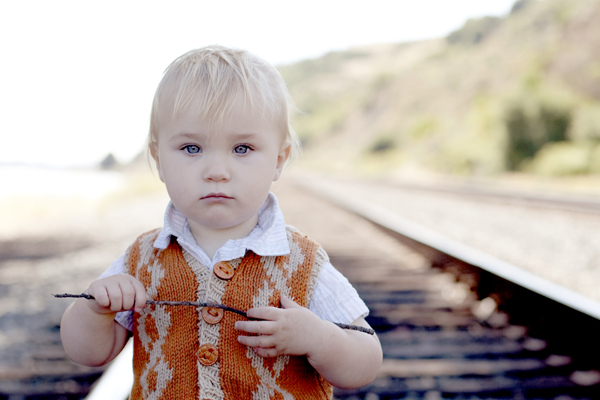 Baby vests are great for chilly weather. It keeps the little ones warm at the core while allowing them room to move. It can also be removed if the weather becomes too warm. Great for layering. A very simple and basic design. Knitted in 2 pieces, the left shoulder is seamed first, followed by the neckband, the armhole bands and lastly, the side seams are sewn together. The instructions for the joining is a little tricky. Therefore, remember to read through it slowly. Although it is a basic design, it still makes a handsome vest. This long-sleeved vest is so handsome. It has a band that can accommodate 2 rows of buttons, thus, making it look like a double-breasted top. It has sizes from 3 months to 24 months. It is not an easy pattern. However, I can see how an experienced knitter might find satisfaction in making this vest. Available free from Yarn Plaza. 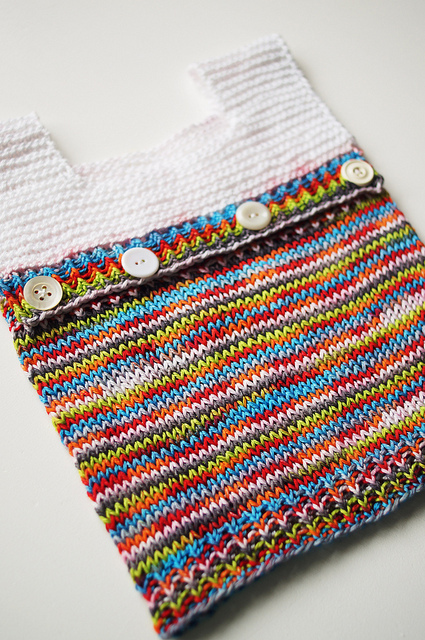 The key design element of this baby vest is the slip stitch. That is, multiple of 6 plus 1. Also, the back and front are knitted separately. What I find most unique is the making up. 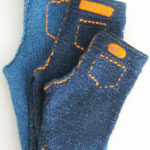 That is, the sequence of the seaming and the knitting of the edging is as follows: right shoulder seam, neck edging, left shoulder seam, arm edgings and finally the side seams. Most patterns do not specify how the different pieces should be made up. This one does and because of this, I appreciated it. 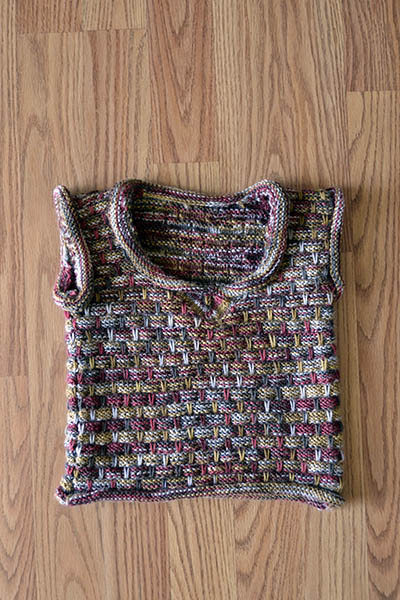 A typical shape and construction for a knitted vest. Nothing very exciting, I guess. The reason this vest is on this list is that there is an argyle motif at the chest. It means I can play with a little intarsia colour knitting without committing to a larger project. Besides, it looks great on a little boy. 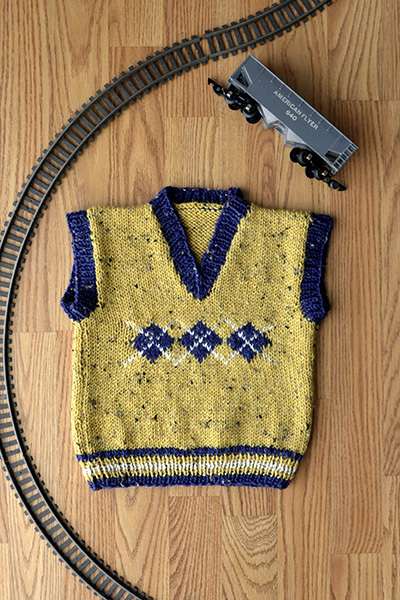 A vest with a pair of faux cables that is knitted using the intarsia method. Again, this vest offers me an opportunity to do intarsia on a small scale. Also, the instructions for the intarsia section is both written and charted. I like the colour combination of orange and beige in the picture. I wouldn’t have thought of it. I couldn’t find the pattern for some time until I tried Internet Archive. I don’t know why, but the pattern is now in the archive at web.archive.org. Hopefully, for a long time. Designed by Jennifer Casa. 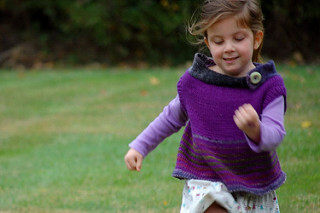 A simple vest designed for a child. The design is deliberate because Jennifer wants it to be able to keep kids warm at the core without overheating them when they run and tumble around. The key design element is the wide boatneck collar knitted in a contrasting colour and embellished with a big button. Begin with the collar, with stitches picked up around the collar’s edge and knitted in the round from the top down. Therefore, minimum seaming is required. I like! Designed by Madeleine Nilsson. Volt means somersault in Swedish so I guess the designer is saying that kids wearing Volt can somersault all they want. Both Jennifer (designer of Neighborly) and Madeleine have the same idea. It is not your typical V-neck vest because it spots a square neckline and 4 buttons across the chest. They act as enclosures as well as embellishments. How smart! In addition, sizes given range from newborn to 10 years old. If you like this list, you might also like my knitted baby sweaters list.